Jonathan Broxton winds up and delivers. The Cincinnati Reds have a closer for the 2013 season, and he’s not named Aroldis Chapman. CBSSports’ Jon Heyman reported that the Reds and Jonathan Broxton have come to agreement on a multi-year deal. The deal is believed to be for at least three years. An announcement is expected Wednesday. 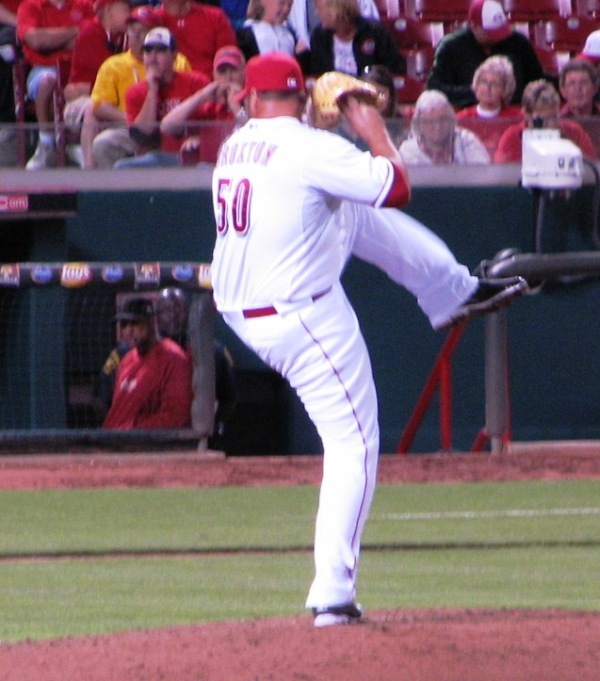 Broxton is expected to be the Reds closer, enabling them to move the 100-mph-throwing Aroldis Chapman to the rotation. The Reds have long maintained that the role they want for Chapman is in the starting rotation. Injuries to the bullpen at the start of last season prevented that from happening. Right now, though, with this signing, it looks like Chapman will be replacing Mike Leake. I think that’s an improvement. Details on the contract with Broxton haven’t been made available yet, so I’ll reserve judgment until then. But a multi-year deal for a closer is a risky venture for a small market team. Of course, with Bryan Price and his pitcher whisperer skills, maybe it’s not that risky. In the land of the baseball-news-deprived, the rumor that the Reds were courting free agent infielder Emmanuel Burriss was hot stuff. Today, the rumor was made flesh when the Reds signed Burriss to a minor league deal with an invitation to spring training. 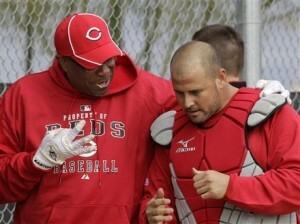 It seems pretty unlikely that Burriss is going to do much with the Reds. If he breaks camp with the big league team, he’ll get $750,000, but he only batted .213 with the Giants last year and is below-average in the field. It doesn’t hurt to have another body at camp, though, and with experience playing 2B, SS, 3B, and LF, he should have plenty of opportunities to prove himself. He has until June 1 to convince the front office to put him on the 25-man roster, or else he has the option to go free agent. 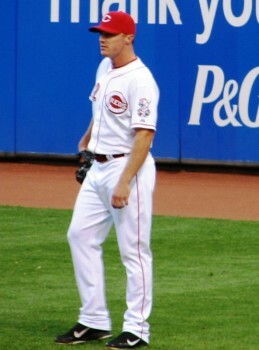 In similar, but less ballyhooed news, the Reds also signed Mike Hessman to a minor league contract. Hessman has barely sniffed the majors despite being 34 years old: he spent last season in the Astros’ AAA organization and the season before that in Japan. That being said, you’ve got to love the tenacity. The team might want him around just to show what dedication is. It’s one thing to have great work ethic when you’re Joey Votto, but entirely another to keep chipping away when you’re rewarded with 109 games in the majors and a career .188 average. Who was the only pitcher other than Cueto, Latos, Arroyo, Bailey, and Leake to start a game for the Reds during the 2012 season? One start only, and he allowed 4 runs, 7 hits, and 5 walks. It’s not a very auspicious way to get into the Reds’ history books, but now that’s he’s signed up for another year with the Reds for $490,000, he’s got a chance to make a bigger name for himself. Posted in Wheeling and Dealing. I know I just wrote about Jay Bruce yesterday, but this time of year, there are only so many times you can post updates to the Redsfest line-up without going insane. Plus, tomorrow is Thanksgiving, which just makes you want to do a good deed, like pointing out the link to the Bruce wedding registry at Pottery Barn. Just from looking at this list, my first thought is that the future Mrs. Bruce is maybe a touch more down-to-earth than the future Mrs. Frazier. The Frazier registry, as you may recall, included enough crystal to satisfy the glass-throwing requirements of an entire season of Dallas. The Bruce registry, on the other hand, has managed to find every single item that Pottery Barn has that’s sold for under $100. It even includes an ironing board cover and pad. How charming: someone not only still irons but actually knows what an ironing board pad is. Jay Bruce is getting married next month. He’s apparently in such a good place, he doesn’t want any of it to change for a long, long time. Word on the street is that super-streaky right-fielder Jay Bruce is looking to settle his contract situation for the rest of his life. Despite already being guaranteed in Cincinnati through the 2016 season, he’s got his agent talking to the team about tacking on another 6 to keep him in the Queen City for the remainder of his career. At the end of the 2016 season, Bruce will be 29, which puts him currently under the Reds’ control through what are probably his best years. Not to say that his age 30-35 seasons might not be something special: if he’s worked out how to even out the ups-and-downs by then, he could be slugging well into his 30s. Like usual, General Manager Walt Jocketty isn’t saying much, but it’s hard to imagine that the Reds are very hot to tie themselves down. A contract that far in the future has so much risks associated with it; anything could happen by then. The team would have to get a ridiculously huge discount to make it worth the risk, and players seem to think the value of their contracts reflects their value as a human being. On the other hand, it would be a great deal for the Reds if Bruce has figured out how to shorten his cold streaks by then or should hyperinflation strike. With the fiscal cliff right around the corner, maybe they’ll be giving it a second thought. Todd Frazier, also known as The Toddfather, also known as The Guy Who Somehow Filled in for Votto for Two Months, was among the top 3 names in contention for the Rookie of the Year honors this year. And, in fact, that’s just where he ended up in the competition: third. The award ultimately went to Bryce Harper (112 pts), the 18 year old who garnered the Nationals so much attention for his youth but whose actual performance was distinctly average. In his honor, they’ll be renaming the award the Youngest Guy to Manage to Be Just Above Mediocre of the Year. LHP Wadey Miley (105 pts) of the Diamondbacks was the second-place finisher, and probably the guy who actually deserved to win it. Frazier (45 pts) was a distant third, but it should have been closer than that. 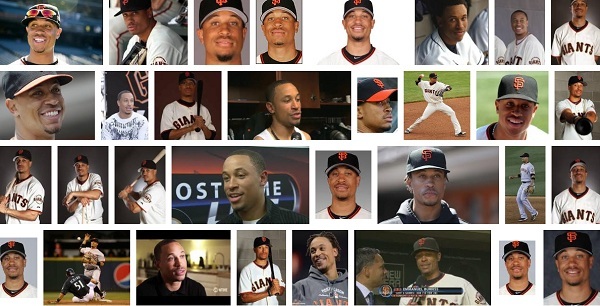 Sure, he’s already 26 and he’s not a pitcher, but he came out of nowhere to do some awesome things this year. Meanwhile, manager Dusty Baker was in the running for his own “of the Year” award. Your 2012 NL Manager of the Year Award went to Davey Johnson of the Nationals. I’d say something sarcastic about how managing the youngest guy who managed to be just about mediocre must be the criterion for winning the award, but that is probably too dismissive. Actually, the performance of the Nationals this year was really something. Baker was a distant second, with 77 points to Johnson’s 131. I’m not prepared to say Baker should have won it (or even comment on the number of votes), but I will say that he actually wasn’t too bad during the result season this year. He could use some post-season managing lessons, though.